Earlier this year (May) after the World Tea Expo, and graduating from the Specialty Tea Institutes (STI) Level 3 certification, I headed to Colorado to visit with my family for a few days. As you probably already know, my nieces and sister-in-law and I visit a different tea room each time I am out there. This time, I went to Dushanbe Teahouse alone so that I could properly taste a few different teas and make some notes. I’ve wanted to visit Dushanbe for the longest, but never seemed to have enough time. Now was my chance and I’m so very glad I did. Isn’t that just lovely? The place is magical from front door to last sip. Anyway, I drove to up to Boulder on that really clear, sparkly day in May, parked the car and found my way to the front of the Teahouse. I was welcomed with this beautiful sign carved out of wood with the Teahouse menu behind glass. I was already mesmerized. I walked around their front garden for a bit taking it all in. Since it was early spring their rose bushes weren’t in bloom. But I could tell that in just a few weeks the grounds would be bursting with color! The whole entry is so welcoming, peaceful and serene. I contemplated sitting outside but quickly ruled that out since there was a chill in the air. Anything below 72˚ is chilly to me. So I made my way to the front door, and walked in. The smell of spices greeted me immediately. The decor was lush and overwhelmingly beautiful. I was in trouble. I knew this wasnt going to be a one cup of tea visit. Instead of waiting for a table I headed for the bar to sit. It was graduation day (UC Boulder) and so many families were there celebrating and I didn’t want to take up valuable real estate (ie: table for one). 1. 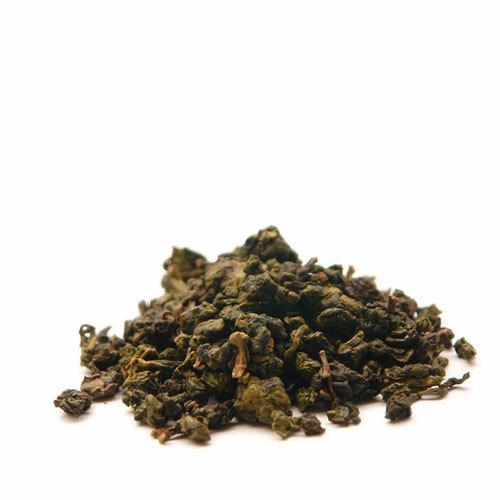 Sijichun Oolong: Formosa. Early Spring with a floral style aroma. Steeped at 175˚ for 1.5 minutes. They used 1 tablespoon of tea. The liquor was light, very pale actually almost white. Strong floral notes (just what I like) and the taste was smooth. No detection of bitterness. It reminded me of a classic Jade Oolong. 2. Fancy Formosa Silver Tip Oolong: Same temp, time and amount. This was an exquisitely handcrafted oolong. Very sweet and aromatic with rich mellow flavor and a mild, gentle aftertaste that was a bit nutty and creamy. This tea was richer than the first tea. Highly reccomended. 3. Gopaldhara White Peony Rosettes (India): I didn’t get the time, temp amount info from Peter (my waiter/bartender) for this one. I didn’t actually realize I was ordering a blooming tea. For some reason the word Rosette didn’t register. They are not typically my favorite but I gave it a shot. The flavor was very much like a white darjeeling and was quite frankly, amazing. The very light hints of sweetness was most unexpected. A most unusual tea. 4. Cloud Darjeeling Green: What a treat! Very light liquid. The wet leaf was a mixture of green and brown. There was a slightly vegetal taste but it wasn’t over powering. Floral notes lingered with its very clean finish. It reminded me of an oolong. 5. Plum Oolong: Tart, naturally fruity, aromatic with a pink infusion that I found very interesting! Slight hints of spice and of course a plum-y finish. I would sip this one again! 6. Puttabong Estate, 1st Flush Darjeeling, 2008: Full gold color in the cup, brighter on the palate. Herbaceous floral and a bit winey. The wet leaf was very green! There was an astringent aftertaste with hints of pepper that really livened it up. The steep was 2-3 minutes on this one. 7. Ceylon Nuwara Eliya: A high mountain ceylon. Classic and bright in the cup and in taste. Very smooth with no astringency or bitterness in the finish. A lovely cup of tea. which consisted of: Mixed greens, hummus, dolmas, cucumbers, tomatoes, feta, olives, herb vinaigrette, house flat bread for a mere $9.00. It was outstanding! I’m looking forward to going back to the Teahouse on Aug 1 & 2 to attend the 10th Annual Rocky Mountain Tea Festival. My dear friend Pam will be joining me on Saturday night for their special Tea Dinner (click here for a sample menu). Everything on the menu is made with tea in some sort of way. I’ll be attending some of the classes as well. 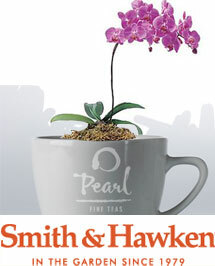 I noticed that Donna Fellman will be teaching Tea 101. Donna is one of my STI instructors, the director of the Tea Education Alliance (T∙E∙A), and she is wonderful. For those of you interested in tea and want to learn the basics, I highly recommend Donna. You’ll get her for 2 hours for $15.00. Take her class at STI and its well over $500. For more info on the Festival, click here! Hope you enjoyed the review. If so, we would love for you to pass it on!